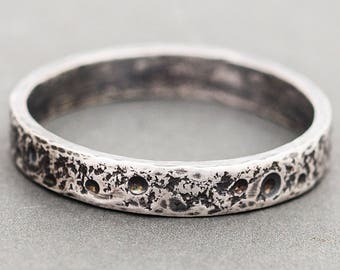 This organically textured ring makes a great stacker to add to your collection. The pattern is created using a rustic, handmade hammer made by my husband in his forge. This solid ring measures 2mm (5/64")wide. 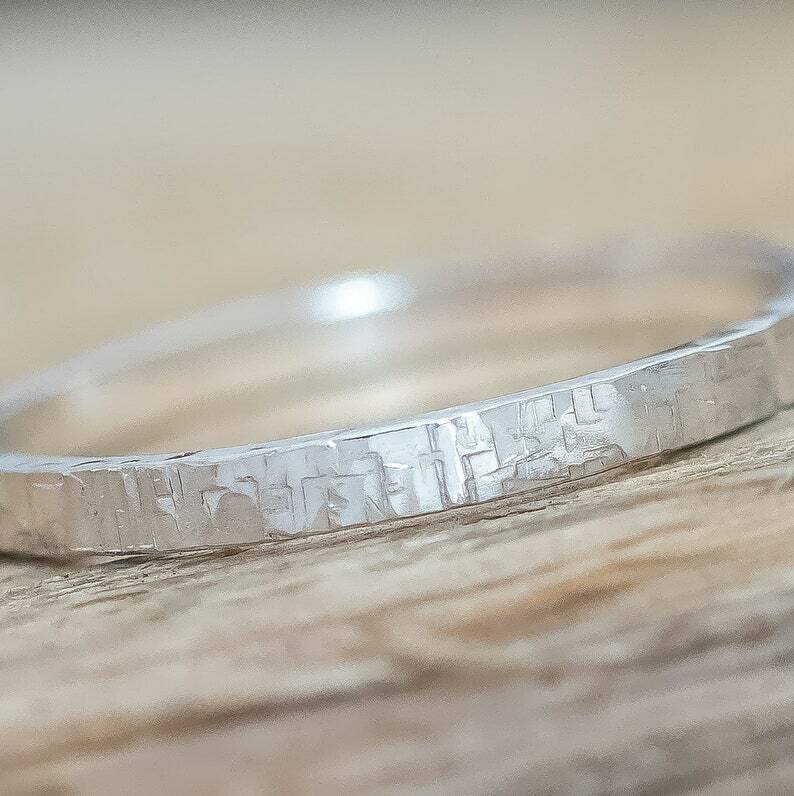 Made from 100 percent reclaimed, recycled sterling silver, making this an eco concious choice. These are made to order so please select your desired size.